In 2001 when foundations were being dug for an extension to Forest Town Primary School these bottles exposed along with several other items. Some of the other items found can be seen on ‘Mystery Discoveries’ Forest Town School page. 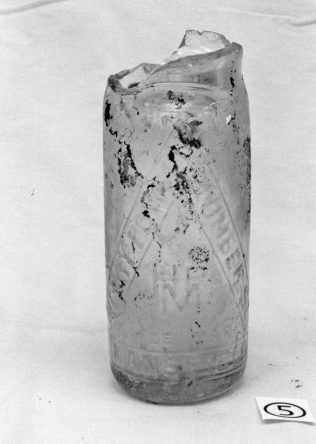 Methams also used an uncommon octagonal ‘Codd’ bottle, Codd being the name of the inventor of the marble stopper type bottles. Hornbys were my ancestors. 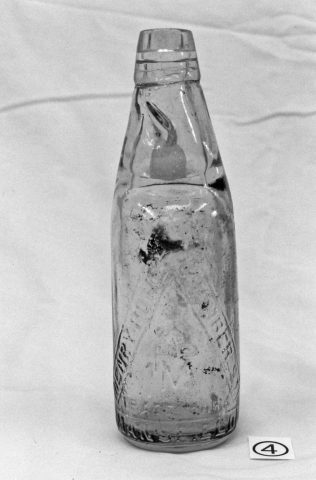 I have seen and taken a photo of an Eclipse bottle kept at Mansfield Museum. 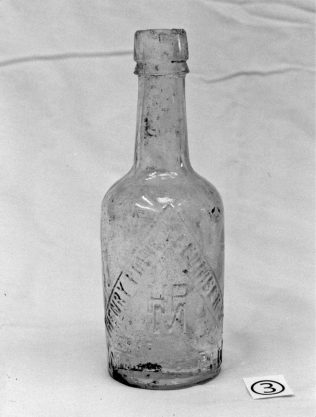 I have also found part of a bottle in the river at Pleasley Vale. If anyone would care to pass on any of these bottles I would be thrilled. Where I walk my dogs near Ollerton which divides the two fields rabbits were burrowing, as I looked down a rabbit hole the rabbits had dug around a Hornsby Limited Eclipse 1770 Mansfield Bottle in perfect condition with the old screw on lid. On the top of the lid was an inprint of a H with Hornsby Mansfield printed around the edge like on a coins writing. At the base is a big W.H with smaller letters K.B Ltd on. Has many of these been found? Always look down rabbit holes you never know what they might uncover – thank you Mr Rabbit – if it had never burrowed there the bottle probably would have be there for another 100 years. Many bottle and rubbish tips where to be found around this area at one time. In the river down at the Manor Park Sports Complex one could find many bottles in the water. Likewise when the mains where put through the pavement to the new dwelling beside Park Hall Lake, which ran the length of the fairways, every bucket from the digger yielded old ink/poison etc bottles.This area was once flood meadows and rubbish tips I gather in the days when Churchman’s hide and skin/knackers yard operated on the site of the now Cooper’s pub. I recall also the last build on Slant Lane in recent years, and the getting out of foundations/groundwork, this area at some point must have been an ash tip due to the amount of bottles surfacing up there too. Between here and Shakespeare Avenue also can be seen, original stone walls (I think) from pre development days. Many old quarries,land deemed unfit for cultivation due to flooding,bogginess or lack of vitality,were used as tips for the refuse of the locality’s houses and businesses. “Bert Mettam,Goldie Wade and Goldie,Virol,Jeyes Fluid,Godfrey’s Cordial,various elixirs,Boots” were many of the branded items I have found over the years, many more still lie buried I’d bet round and about. Ecclipse was a race horse owend by H J Metam, who used it as his logo on his bottles. 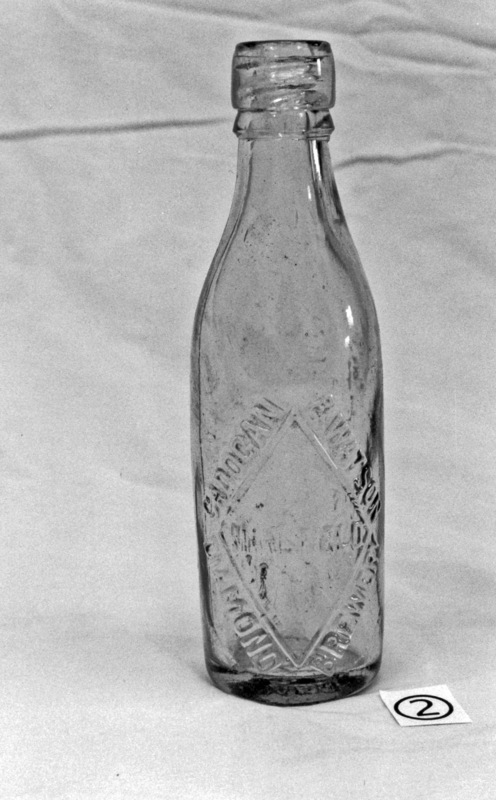 William Hornby brought H J Methams and adopted the logo, these bottles were used for soft drinks like lemonade, they were in business up-until around the end of the 2nd world war. There is or was an eclipse emblem on the side of a building at the top of Midworth St in Mansfield. I have a green glass bottle with ‘William Hornby, Mansfield’ embossed on the front of it. It is in good condition and was found on West Gate during the demolition of old shops during the early 1970’s. 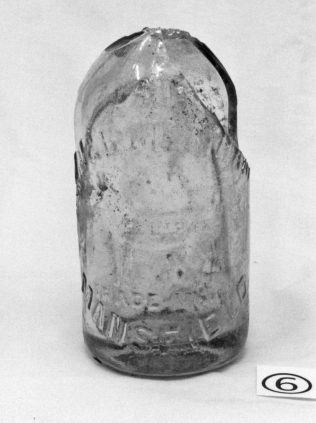 I beleive William Hornby was a wine and spirit’s merchant on West Gate in the late 1800’s early 1900’s.